Have you been going through a transition? Kids going off to college? Getting divorced? Aging parents you have to take care of? A teenager is crisis? Little ones at home? Juggling a career and a family? Or are just overwhelmed? Is your life out of control? Feel like you have to grin and bear it and just say everything is great when really it’s not. Then Women’s circle may be for you. Want to be heard and understood? Want to be yourself and share your pain and struggles? Want to get real support? 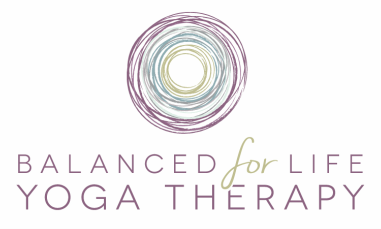 Starting in March, Leslie and Denise will be hosting our first women’s circle at Balanced for Life Yoga. It’s a place where you can laugh and cry and not be judged. It’s a place where you can state your concerns out loud and be heard. It’s a place to process the feelings we are often told to ignore. It’s a place to be real and look real hard at our live, and then challenge our thoughts and beliefs we are currently having, and the actions we are doing. We all have more resources than we realize and use-both internal and external. Let this circle of women encourage you to break the cycle of going it alone and learn to get support from others and silence the internal critic! A woman who is ready to be real and be herself. A woman who wants to be in community with other women. A woman who is struggling with challenge of any kind. A women who wants to be heard and understood. Grounding and connecting using movement and meditation. Engaging with each other both in casual check-in and deeper conversation. Taking time to read, contemplation, and reflect, both on ourselves and on readings. Getting creative and having fun.